I'm looking at getting a 27 foot above ground pool. 1) $4,300 comes with 1 horsepower pump and black vinyl "underneath" the pool. 2) Or, $4,800 with foam underneath and a 1.5 horsepower pump. Also, the salesman said that they "stretch" the liner over the edge of the pool, which is supposed to be better for some reason. I think he said the pool liner was either 13 or 17 mill quality. I have no idea which is better, but I like the way the foam feels on my feet. I'm putting the pool in a yard where there is a row of trees, but I don't think that roots will be a big issue. Basically, which is the better deal? What should I look out for in regards to filters? What size and type of filter is best considering the two pumps above (again, for a 27 foot pool)? I didn't even know to ask what kind or size of filter. And is foam a long lasting material for underneath the pool? I hear that foam can dry-rot, but I live in a very humid climate and I only plan on living in this home for another five years or so. 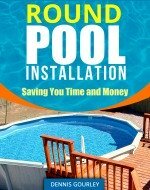 Both businesses are competing to put my pool in, and it looks like for $500 I get the foam and "better" "stretched" pool lining (? ), and a pump with 1/2 extra horsepower. I'm leaning toward the more expensive option simply because of the foam and extra horsepower, even though I know it might not be needed. Hi Jim. If you go with the 1.5 HP, my preference, make sure you have a second return installed. That large of a pump needs more return flow than one fitting can provide. My ideal filter is the 1.5 HP sand filter. The stretching of the liner should not cost extra, to me it's the best way of installing a liner and I do it on all my jobs. Check on the thickness of the liner, you should get no less than 20 mil. I like foam, when properly installed, and I have never heard of it dry rotting, especially in the time frame you suggested. Here are a few pages of reading that might help you with your choices.